Insurance policies are complex contracts that contain many limitations and conditions of coverage and certain losses are excluded. At the Law Offices of Richard A. Fogel, P.C., our New York toxic torts defense lawyer holds a Masters Degree in science. Private property owners involved in disputes with neighboring property owner(s) over who is liable for environmental contamination. Our clients are businesses involved in disputes with other businesses over contracts, leases, trademarks, trade secrets, and more. Richard Fogel has defended litigation claims involving lead paint, mold, asbestos, benzene, ink, and other toxic tort and environmental claims as well as related insurance coverage disputes and disputes between insurance companies for more than two decades in the Greater New York City courts. Mr. Fogel also routinely litigates commercial and contractual claims as well as shareholder and partnership disputes. The Law Offices of Richard A. Fogel, P.C. is an AV-Rated litigation law firm that concentrates its practice on insurance coverage, toxic torts, environmental, product liability and commercial litigation. In particular, the firm represents landlords, manufacturers, distributors, retailers, waste haulers and dry cleaners, and other small businesses. The firm also defends insured businesses for insurance companies. Rich Fogel also served as outside general counsel for a retailer. Mr. Fogel holds a Master’s Degree in Environmental Science so he has a unique ability to work with technical experts on scientific issues and communicate complex causation and technical explanations to courts and juries. The firm’s practice is ninety percent repeat business because its focus is on getting the matter resolved on a cost-effective basis that serves the client’s best interests. This is not a volume practice unlike many insurance defense firms. The practice is designed for personal service for technical cases without incurring the premium price demanded by larger firms. 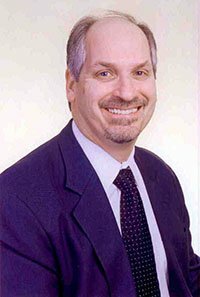 Mr. Fogel has been practicing since 1987 and has been a partner at large firms. In 2004, he decided to open his own boutique firm to better serve his longstanding clients and control overhead costs so rates remain very competitive, at $275/hr., Mr. Fogel’s rate for the past decade. The firm appears in all courts located in the Greater New York City area, including Northern New Jersey. Job One at the firm is to resolve litigation cost effectively. 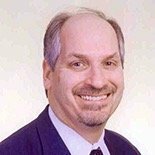 Rich Fogel is a “Best’s Recommended Insurance Counsel”, rated “AV” for ethical standards and legal ability by LexisNexis/Martindale Hubbell and a nominated member of the Claims and Litigation Management Alliance.